With client reservations, you can reserve an IP address for permanent use by a DHCP client. Typically, you will need to do this if the client uses an IP address that was assigned using another method for TCP/IP configuration. If you are reserving an IP address for a new client, or an address that is different from its current one, you should verify that the address has not already been leased by the DHCP server. 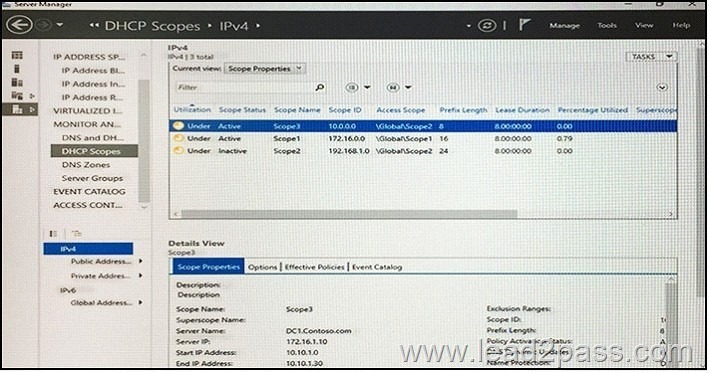 Reserving an IP address in a scope does not automatically force a client currently using that address to stop using it. Which ipconfig command would you use if the address is already in use? If the address is already in use, the client using the address must first release it by issuing a DHCP release message (DHCPRELEASE). You can do this by typing ipconfig /release at the command prompt of a client computer running Windows XP or Windows Vista. 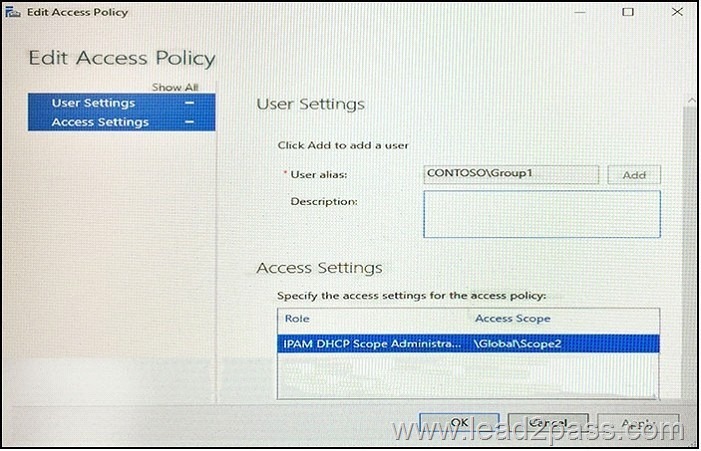 Reserving an IP address at the DHCP server also does not force the new client for which the reservation is made to immediately move to that address. In this case, too, the client must first issue a DHCP request message (DHCPREQUEST). You can do this by typing ipconfig /renew at the command prompt of a client computer. The DNS Server service provides several types of zones. Which zone helps to keep delegated zone information current, improve name resolution and simplify DNS administration, but is not an alternative for enhancing redundancy and load sharing? When a zone that this DNS server hosts is a stub zone, this DNS server is a source only for information about the authoritative name servers for this zone. The zone at this server must be obtained from another DNS server that hosts the zone. This DNS server must have network access to the remote DNS server to copy the authoritative name server information about the zone. When a DNS server loads a stub zone, such as widgets.thetoycompany.com, it queries the master servers, which can be in different locations, for the necessary resource records of the authoritative servers for the zone widgets.thetoycompany.com. The list of master servers may contain a single server or multiple servers, and it can be changed anytime. The following example displays DNS query results that are performed from a DNS client computer using the Resolve-DnsName cmdlet. You want to include the DO bit in a DNS query, to make the client is DNSSEC-aware, so that it is OK for the DNS server to return DNSSEC data in a response. What extra parameter should you use? When DO=1, the client indicates that it is able to receive DNSSEC data if available. Because the secure.contoso.com zone is signed, an RRSIG resource record was included with the DNS response when DO=1. Which mode is being described below? Deploy the RAS Gateway as an edge VPN server, an edge DirectAccess server, or both simultaneously. In this configuration, RAS Gateway provides remote employees with connectivity to your network by using either VPN or DirectAccess connections. DHCP servers centrally manage IP addresses and related information and provide it to clients automatically. This allows you to configure client network settings at a server, instead of configuring them on each client computer. If you want this computer to distribute IP addresses to clients, then configure this computer as a DHCP server. TRUE or FALSE. Can you install the DHCP server role on a Nano server? 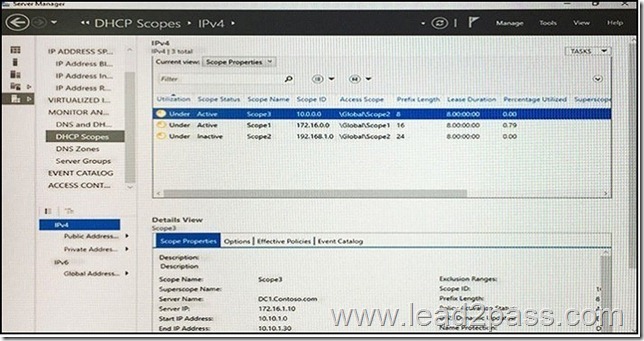 You can use SLB with a VLAN-based network for DIP VMs connected to a SDN Enabled Hyper-V Virtual Switch. The socket pool enables a DNS server to use source port randomization when issuing DNS queries. Which command offers the greatest protection? The following question is difficult, take your time and use a piece of paper if you need. What is the network ID of the IP node 129.56.189.41 with a subnet mask of 255.255.240.0? To obtain the result, turn both numbers into their binary equivalents and line them up. Then perform the AND operation on each bit and write down the result. The result of the bit-wise logical AND of the 32 bits of the IP address and the subnet mask is the network ID 129.56.176.0. You network contains an Active Directory named contoso.com. The domain has two users named User1 and User2 and a group named Group1. User1 is the only member of Group1. 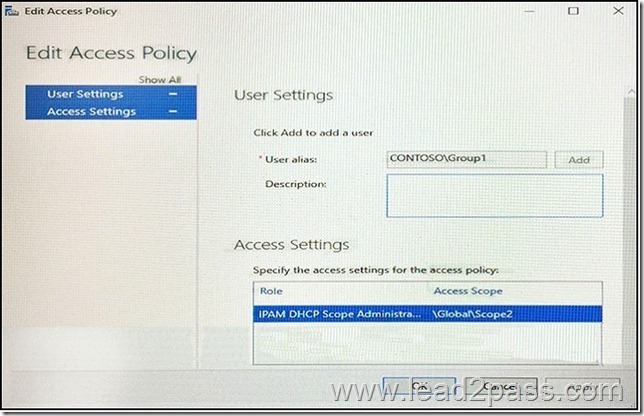 Server1 has one IPAM access policy. 70-741 Dumps, 70-741 Exam Questions, 70-741 New Questions, 70-741 PDF, 70-741 VCE, Microsoft Exam 70-741 braindumps, 70-741 exam dumps, 70-741 exam question, 70-741 pdf dumps, 70-741 practice test, 70-741 study guide, 70-741 vce dumps, Lead2pass 70-741. permalink.